Let's get ready to ruuuuuuuuuuuuuuuuuuumbleeeeeeeeeeee! For those that love the exciting thrills and acrobatics of professional wrestling, there's an expansion for a game up on Kickstarter that you might want to check out. The Supershow brings the crazy antics, big personalities, and high-flying moves to your tabletop. They're looking to come out with the next set and want you for their tag-team partner. The game is billed as a UCG, which is to say it's an "Unpredictable Card Game." You know how wrestling matches can turn on a dime, well, that's something that's replicated in the game. You've not won until that "3!" is called out by the ref, so you must always be on your guard for reversals. Wear your opponent down with set up and combo strikes, then unleash your signature move in order to get that final pin. 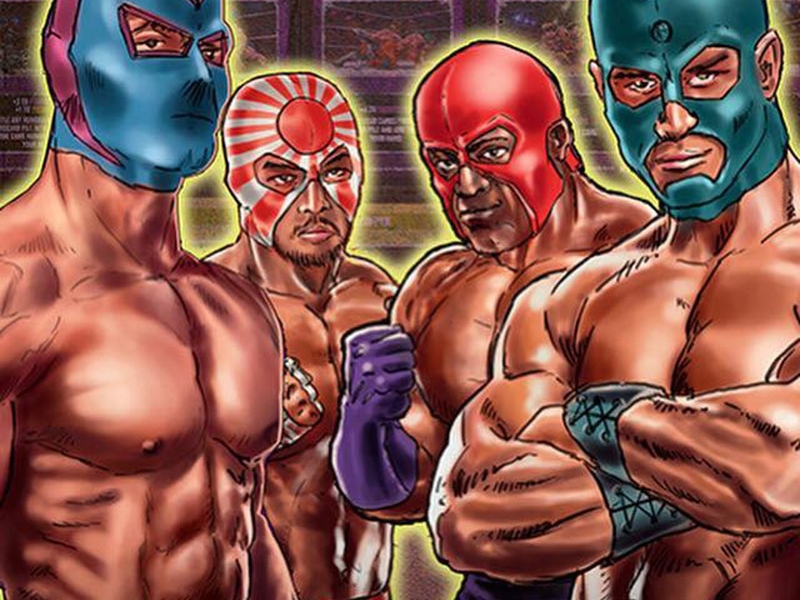 This particular Kickstarter looks to bring three new box sets, each with their own sets of wrestling cards, to your tables. And it looks like it'll happen, since they're over their funding goal already, and into several stretch goals. The day count is at 40 left, so you've got some time if you want to get in on the action.